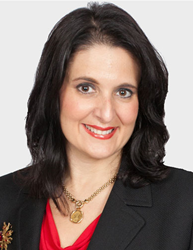 Date and time: April 5, 2016, from 12 p.m. to 2:15 p.m.; lunch and registration begins at 11:30 a.m.
Gina F. Rubel, Esq., President and CEO of Furia Rubel Communications Inc., will moderate a CLE program sponsored by the Philadelphia Bar Association entitled, “Succession Planning: How to Manage the Elephant in the Room.” While retirement and succession are two of the biggest issues facing law firms today, most firms simply choose not to talk about it. However, not only must they talk about it, but it is their ethical duty to plan for law firm succession. This 2-hour CLE program hosted by the Law Practice Management Committee of the Philadelphia Bar Association will help law firm leaders do just that. Speakers will help attendees understand the ethics of succession planning, define accountability, evaluate readiness, and discuss how best to manage transition of leadership in law firms. Rubel, who chairs the Law Practice Management Committee, will moderate the program presented by faculty members Abraham C. Reich, Esq., Co-Chair of Fox Rothschild LLP, Past Chancellor of the Philadelphia Bar Association; and Sayde J. Ladov, Esq., a partner at Dolchin, Slotkin & Todd, P.C., Past Chancellor of the Philadelphia Bar Association. For more information and to register, visit the Philadelphia Bar Association website. Furia Rubel Communications, Inc. is an integrated and strategic marketing and public relations agency based in Bucks County, Pa. The certified woman-owned agency provides strategic planning, marketing, public relations, media relations, graphic design, website design, content marketing, blog production and social media services to a wide array of professional clients. Furia Rubel represents law firms, technology companies, educational organizations, accounting firms, nonprofits, municipalities, and manufacturing, behavioral health and elder care organizations. For more information, visit furiarubel.com, follow on Twitter at @FuriaRubel or subscribe to the blog at ThePRLawyer.com.